Recently I was given an opportunity to tour Taylor's School of Hospitality, Tourism & Culinary Arts (TCHT) during their Campus Preview Day, at their spanking brand new Lakeside Campus. 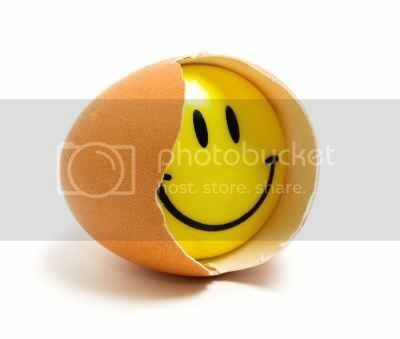 What an eye-opener it was that made me sorely wish I could restart life and start studying again!! Just a hop and a skip away from their old campus at Leisure Commerce Square, the place is huge (27 acres to be exact!) and impressive. Definitely a lot of thought and care went into the design of the campus, as it follows green principles to conserve energy. Buildings surround a 5.5 acre lake that has a dual purpose: first acting as a cooling system and secondly, as a scenic backdrop for the campus. I can imagine if I was studying here, I'll be sitting by the lake to enjoy the serene calming waters. Other ecologically principles within the building see the connecting tunnels between the lecture theatres designed to capture the wind to give it natural ventilation. There is also a feature on the roof, which conserves rainwater. 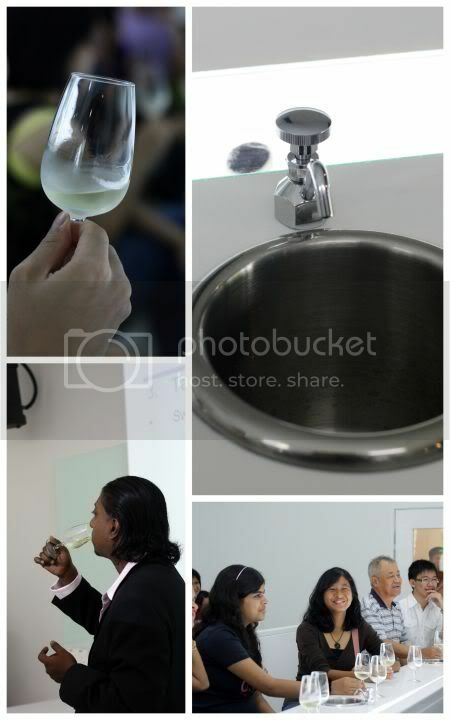 Our tour started on a very high note – a wine appreciation class at TCHT's newly minted wine lab. 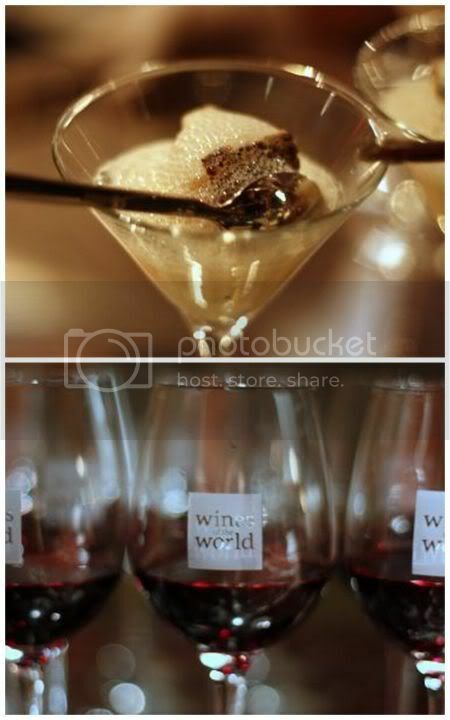 Lead by TCHT's F&B lecturer Reuben Suresh Arthur, we were taken through a tasting of white wine followed by a red wine. Incidentally Reuben boasts an impressive resume - he has a Master of Wine (I can imagine how nice it will be to do that course, drinking wines all the time to pass it), a highly regarded qualification in the wine industry that has also been awarded to well known wine book author Jancis Robinson and Hong Kong wine book author and expert, Jeannie Cho Lee. Going back to the wine class, I must admit I was very impressed with the design of the 30-seater wine lab with its long white tables and built-in spittoons (a must in wine, since you spit out the wine as too much makes you a little too tipsy to taste the wine). The white colour and the fluorescent lights on the side gives out "daylight" that helps you "see" the wine better to determine the colour and hue - one of the requisite ways to test the wine. Students for TCHT's hospitality and culinary arts programmes go through these wine appreciation classes to develop their palate and knowledge about wines. What a life! I reckon if I had the opportunity to go back to school, this would definitely be my favourite course! 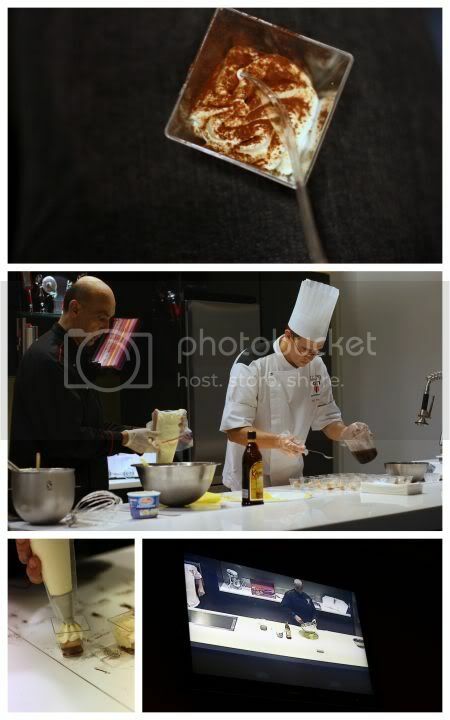 Next, it was another favourite part of my life - a dessert demonstration by TCHT’s Chef Karam helped by Chef Francois at the culinary bar & theatre, called ‘Manifestations’. The talented Chef Karam whipped up a delicious Black forest and Tiramisu that had us all going....aaah! so good. Watching the demostration is also easy at this theatre as they have 2 televisions on top that zooms in when he's prepping up the desserts, thus you don't miss those crucial techniques needed to perfect your Tiramisu or ultimate "pick-me-up". Incidentally for those who are keen bakers, Chef Karam also a part-time pastry course for non-TCHT students on weekends. Once we were well sated from wine and desserts, we were given a tour around the various "classrooms". To bring in the feel of the hotel and culinary kitchens, TCHT has designed the rooms to resemble hotel receptions and rooms. Thus in the large lecture rooms, you find on one side, a hotel suite set up complete with an attached bathroom (there's even a bed but I doubt you can ever sleep on it!) while the other side is the typical classroom set up with a whiteboard and chairs. This is where students are taught housekeeping techniques, such as how to make the bed properly (I can imagine how difficult it will be to perfect each fold) and even clean the bathroom. 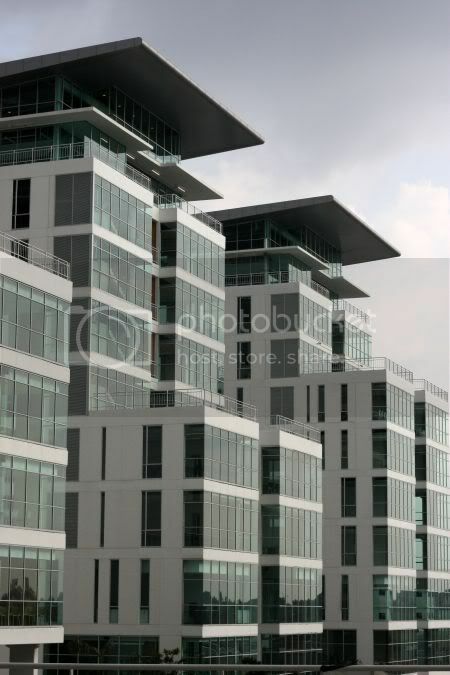 Three kinds of concepts are displayed here - urban living; resort and apartment. Other hotel scenarios include front office reception areas where you use a Property Management System (PMS) to learn how to manage reservations. Now I know how the hotel people always seem to know everything about us when we call down to the reception - it's just a click away on their PMS. TCHT also ups the ante of their "live classroom" lectures as they will be opening up a 80-room boutique hotel soon next to the lake that will be made available for the public. On campus, there are 6 full-service restaurants (definitely plenty to eat here!) where students get to be trained in the kitchen, on the floor and even sample what their friends are cooking. Each restaurant has a different theme - Truffles is trendy fine dining while Thyme and Tarragon is simpler but offers contemporary dining, Tangerine veers towards Asian and boasts an outdoor Deck with lake views, and finally Temptations, a multi-service restaurant that works like Marche restaurant with different counters serving all types of food and beverages. Three mock-up restaurants are also available where first time students can practice there before serving real guests. I only managed to make it to Tangerine that day and the food was really good - my favourite was their daging salai and Northern Indian cuisine. In future, these restaurants will be open to the public to allow the students to practice their new found skills. I must admit I've always known about TCHT at the back of my mind (it was one of the places I recommended to my Korean friend last year when he wanted a place for his daughter to study) as the place to go for culinary and hospitality studies but this tour definitely opened my mind up to how advanced they have come from 1986 when they first started out and why they're now the largest and most established hospitality school in Southeast Asia. Partnerships with Academie de Toulouse and the University of Toulouse from France, gives you two prestigious qualifications when you graduate - one from France and one from Taylor’s. What I especially liked is how those who have a passion for food, beverage, hotels or travel will find these programmes very ideal since they involve plenty of practical training - whether in their specially designed classrooms, the actual restaurants and culinary suites or once they are ready, their internship at hotels, restaurants, travel agencies and other service-related organisations. TCHT works closely with a number of organisations so placements are easily arranged and there are even opportunities to train overseas! Some students have even made it to hotels and restaurants in the USA, Maldives, France, etc. While you learn the nitty gritty of the hospitality and tourism world, these courses give you a great grounding to do other things in the service industry. TCHT offers various academic programmes ranging from certificate to master's degree level in culinary arts, hospitality management, travel & recreation management and events management. Intakes for the different programmes are January, February, April and July. While most of the students are mainly local (60%), you also get to mingle with foreigners who mainly come from Indonesia, China, Vietnam and the Middle East. For more details on the courses, hop over to their website. Honestly, if I had the monies and of course the time, one wouldn't mind going back to study all this as it's ideal for those who love the whole business about food and hotels or even travel. I admit I've always wanted to visit Fullhouse especially after all the blogs were peppered with reviews of their Nui Ze Xui outlet. Since Ara Damansara was an area I rarely ventured too, I finally got my opportunity at their new outlet on Jalan Yap Kwan Seng. This whole area is bustling with traffic - everyone rushing somewhere to get sustenance during their one hour break. Located in a bungalow, parking can be quite a nightmare here (seems there is parking at the back) but we ended up taking the easier option - valet parking by just chucking the car at their front yard in the hope it returns unscathed. Inside the white washed house, it is packed to the brim with the lunch crowd. The whole place has a cute-sy and adorable feel to it that is hard to resist i.e. white wooden furniture with white lace curtains. Downstairs is the dining area, the kitchen and an area where they display furniture items and knick knacks. Upstairs (do check out the adorable pictures of the characters of fullhouse on the landing) is a small boutique, a dining room for a larger crowd and a balcony area where you can sit outside at night. 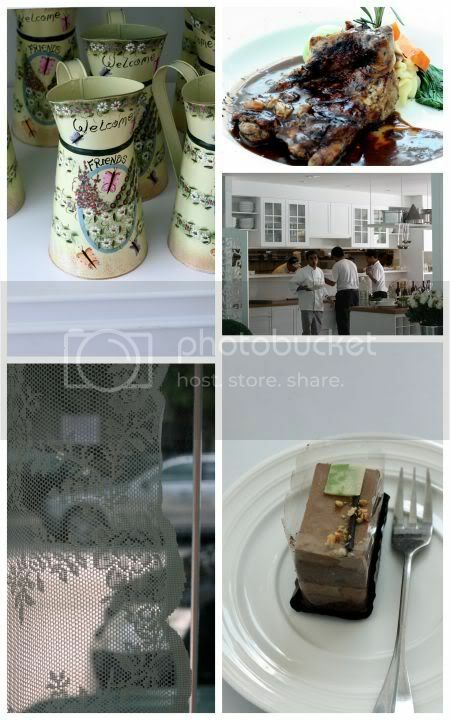 cutesy containers, wok seared chicken chop, the open kitchen, my awful tasting dessert, lace curtains add to the charm. You select your food from a menu, which is laid out like a magazine complete with news on the boutique, which Hong Kong celebrity is visiting them and etc. The set lunches seem to be the draw of the crowd here. Each character in Fullhouse has a favourite set meal (pasta, fish, chicken and etc) - I decided to go for Tony's favourite meal: wok seared chicken chop with black pepper raisin jus served with forest mushroom soup, iced lemon tea, cake for RM18.90. The set meal arrives at lightning speed (as a quick peek at their kitchen reveal a lot of items are prepped ahead). Soup is a little watered down but still very pleasant to drink and I especially liked the almond flakes on top. My chicken chop was juicy and I did like the fluffy mash potatoes and raisin sauce served with it. 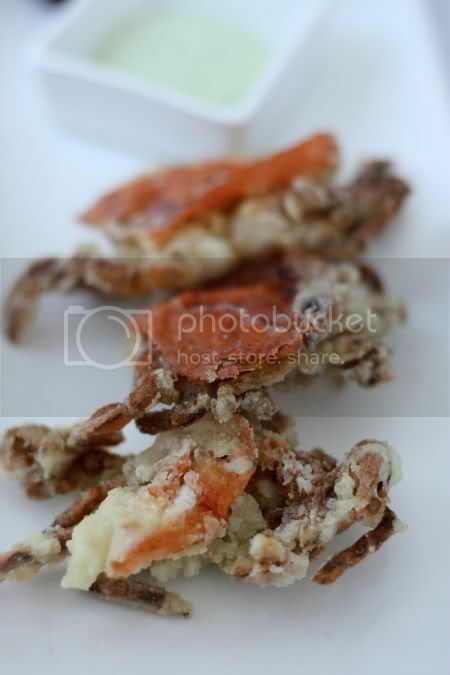 The soft shell crab appetizer we also ordered was good - lightly battered and fried with an appetising mayonnaise tinged with wasabi to give a tingling sensation to the tongue. Splashie Boy's butterfish was very good too - smooth and flaky with a tangy sauce. Incidentally, I made pan fried butterfish last night, while it was very nice to eat I realised it's not easy to figure out if it is cooked since the opaqueness of the flesh is hard to tell with the colour of the fish. While mains were fine, dessert in a form of an artificial tasting sponge cake with even more cardboard tasting frosting was terrible leaving a bad aftertaste in the mouth. One major gripe I do have about this place is service is appalling here - the staff seem very untrained to hold their plates and serve. One fella accidentally spilled my cake on the floor while attempting to serve it. He ran off when it dropped and only returned with my replacement cake after a few reminders! Conclusion of this place is it's great for a quick meal but don't expect much from the desserts or the service. From Sean, the man about town it's also great at night when things quieten down and you get a lovely view of KLCC's phallic-like twin towers. Thanks so much for all your entries. Tough decision since there were so many entries but the judges picked Selina Chung as the winner. Will be contacting Selina to pass her dining voucher to her. Last week I stumbled upon a reference on this porky delight place and after drooling over the pictures, we decided to give it a try. While this place was at a completely new unexplored territory (I remember it as a landfill in the olden days! ), the map given was clear and concise that searching for it was pretty easy. The place is relatively quiet - throughout our lunch there, we only saw one to two tables occupied. The restaurant is nice and airy with high ceilings and a double frontage. The commercial area also doubles up as a residential area as on top of the commercial ground floor, there are 2 floors of flats. We reckon rental around here must be very reasonable since the prices are relatively cheaper compared to more central areas such as SS2 and etc. There's a Mydin, 99 Supermarket, 7-11 and Ipoh White Coffee that is now becoming as common as a 7-11 convenience store. 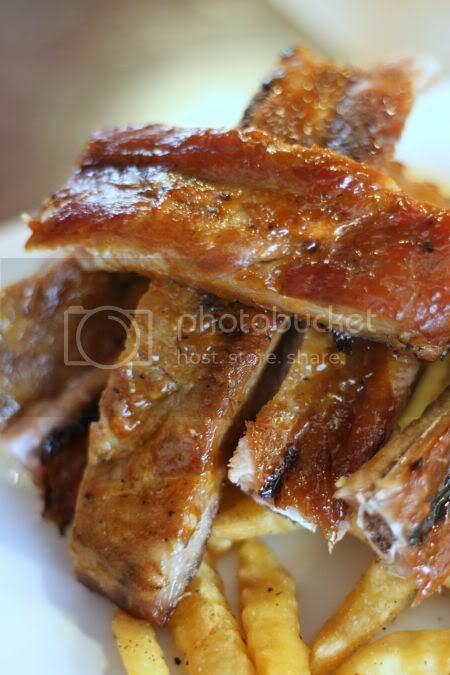 It is best to make your appearance here after 1pm during the weekends as they do these weekend specials - pork ribs, roast pork belly and barbeque chicken. Since there were a few of us, we ordered loads to sample. Winner of the day was their roast pork belly (RM12.90) - more like a rolled pork loin, it came with three thick slices topped with a pork crackling. At the bottom were roasted potatoes, the brown and apple sauces while the sides were gem lettuces, a tomato slice and Japanese cucumber slices. The crackling was dissapointing, as it was hard even though it was super crunchy. What we loved was the soft juicy pork loin slices - a steal at that price. Also on the regular dailymenu there is another pork belly dish - the stone charbroil pork belly (RM13.90), which we ordered to compare. This one came without any skin in a thin strip with a bit of fat on top and the meat at the bottom. However, it was a little too tough for our liking. Another weekend specialty were the pork ribs (RM25.80). Served with crispy french fries (crisp on the outside and soft in the middle) and coleslaw, the meat on the pork ribs was tender and slathered with a nice smoky sauce. 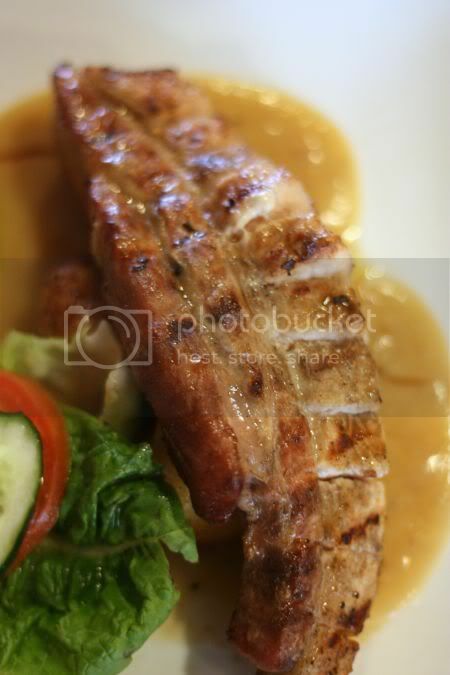 However the sauce didn't penetrate the meat of the pork ribs making it tasteless without the thin layer of sauce. Cooking seems a little uneven as some ribs were juicy while others had dry bits. We also ordered the grilled lamb with butter mint sauce (RM12.90) that was nice - lamb shoulder slice grilled till crisp with some not too tender bits slathered with brown sauce and the butter mint sauce. 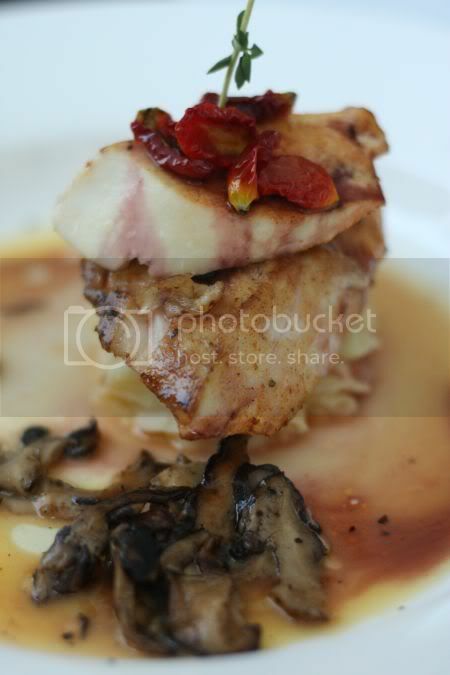 I was eyeing this pan fried chicken and bacon (they call it beacon in their menu!) 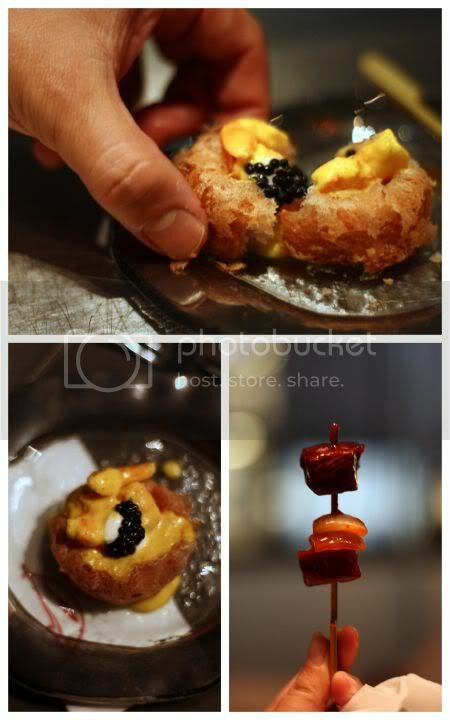 roll on the wall pictures - looked so good with a bacon strip wrapped around a piece of chicken and pineapple. It came looking the complete opposite as the piece of chicken (RM8.90) was slit in the middle and stuffed with the bacon instead. Even though the chicken was tender and juicy, we were dissapointed since we expected a different looking dish. Even though there were some misses, we reckon this place deserves a mention for its value for money food and if we did return, it will be only for their tender and juicy roast pork belly slices that we all enjoyed. The lady also told me they do orders for a minimum of 6 people for the roast pork belly. Just call them one day in advance to prepare the roast. Wind down the week with a little comfort for the soul - a bowl of Teochew porridge. While this place may not serve the best ever braised duck nor intestines, it still remains a favourite stop over point for me. Located right opposite Seapark Market, this is where I gravitate for my ultimate tummy soother. When times seem turbulent, a bowl of hot porridge drizzled with the braised liquid from intestines or pork belly always seem to make the day a little brighter. I often find the selection here irrestible - all stacked up in these round metal trays. One dish is never enough and I often find myself ordering more than enough to feed an army! The assam fish is a light tangy version of the thickish Nonya version. 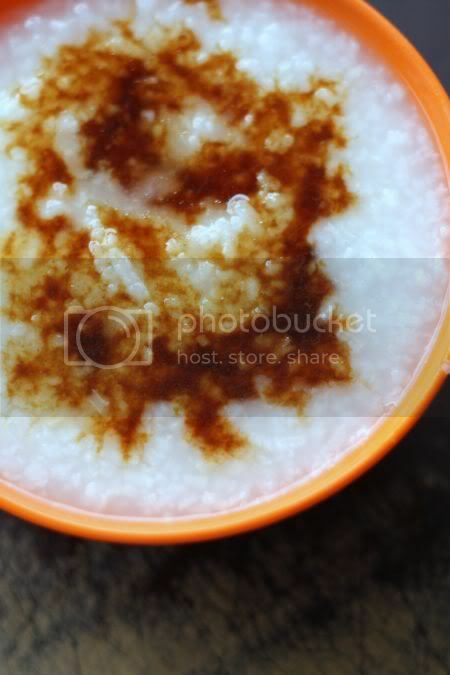 Nevertheless its light taste is a boon to the simple porridge. Then there's another firm favourite - clams or more appropriately lala. It's a must-have dish for me whenever I spy it. 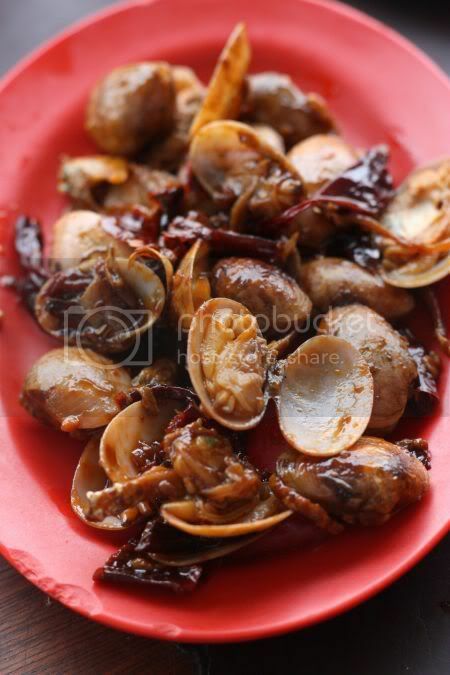 Sometimes you find cockles stir fried in the same manner with dried chillies to add a fiery spice. 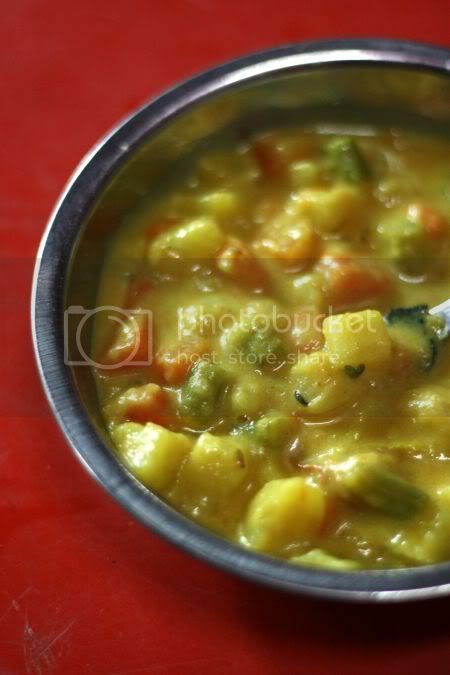 Once you have purified that tummy, how about a little indulging at the end of it all - a rich coconut milk laden curry from the same restaurant. Known as the Sisters Curry Mee as it's run by the Wong sisters, this place made the newspapers quite some time back or else I wouldn't know about it. They also have branches in Puchong. At night, this corner coffeeshop transforms into the famous Nasi Lemak/Fried Noodles mamak and a bak kut teh stall. Have a good weekend everyone and remember to chill out! Reading Oishinbo can be a little dangerous to the wallet as it starts an incredible itch to have all the wonderful things described in the manga. 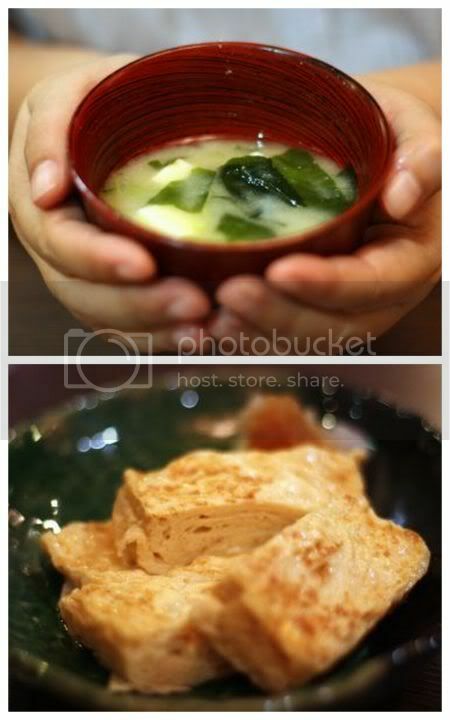 Even though I know I can't get those food, it led me to start craving for Japanese food. Hence one night, we ended up at this place, which has been on my "to-do" list for the longest time ever. 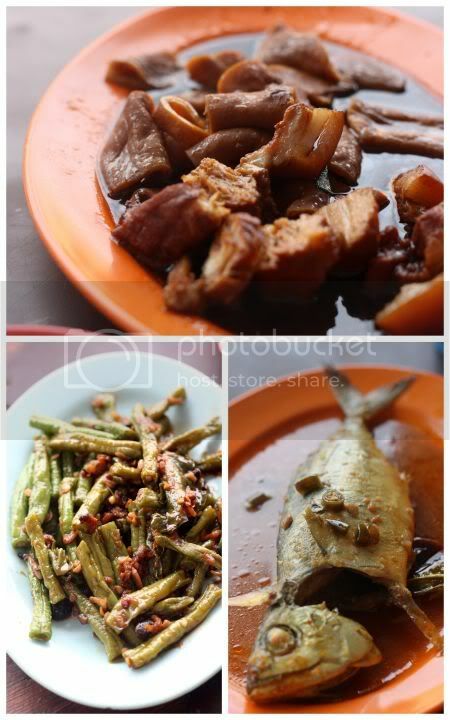 Always at the back of my mind, it perked my curiosity when I read how Sugarbean raved about the food that they visited the place three times. Well tucked within Menara Keck Seng that is off that "always-jammed" Jalan Bukit Bintang, this place is frequented by locals and Japanese. One of the oldest Japanese restaurants around (it is said to have started in the 80s at Kompleks Antarabangsa), this place is owned by a Japanese fish wholesaler from Tsujiki Market, Tokyo. Prices here are generally on the higher side compared to other Japanese restaurants but you get quality and fresh seafood in return. We stumbled upon their sushi price crush promotion that started end of last year. Not known by many (it seems they only advertised in the Japanese papers), this means you get to enjoy a selection of nigiri sushi from RM6++ or RM9++ The RM9++ selection sees a choice of: uni (sea urchin), negitoro (chopped tuna), ikura (salmon roe), anago (sea eel), chu toro (tuna belly) and aburitoro (seared tuna belly). The RM6++ selection is a choice of 24 varieties that include items like: maguro (tuna), engawa (hirame), ika (squid), ebi(prawn), aji (horse mackerel), hamachi(yellowtail) and hotate (scallop). Temaki or handrolls are also available at RM6+++, with choices like soft shell crab and the perennial favourite, California. Our first visit was unadventurous since we stuck to a small selection - just to try out the place. Ever so simple but fluffy and ethereal with its dashi taste, I loved the dashimaki tamago (RM18) or eggy rolls served with finely shredded daikon radish. The dobin mushi, a must for both of us wasn't as rich tasting compared to other places. We reckoned it needed a little stewing to allow the flavours to develop. The ingredients used within the teapot were all super fresh - a tiny fish, a crunchy prawn, gingko nuts, fishcake, a piece of chicken and shimeji mushrooms. I liked how the nigiri sushi had a little dab of wasabi within and not too much sushi rice that I could pop it into my mouth at one go to fully enjoy the taste of the fish with the rice. That dab of wasabi was just the right amount of fieryness needed to balance the taste of the fish and rice. Too much of it would have drown the taste of the fish. 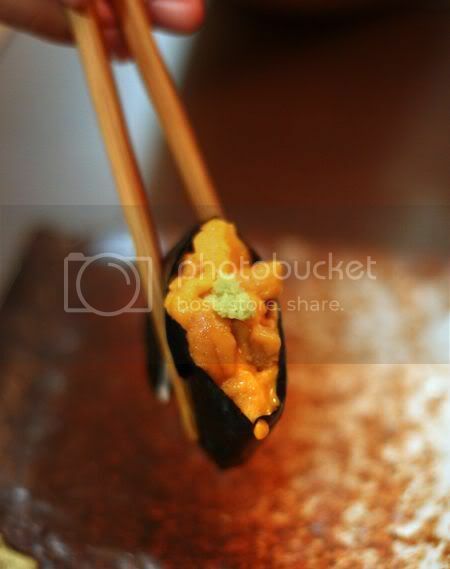 We sampled the ikura that popped in the tongue with its salty taste - simply gorgeous and the smooth tuna belly. 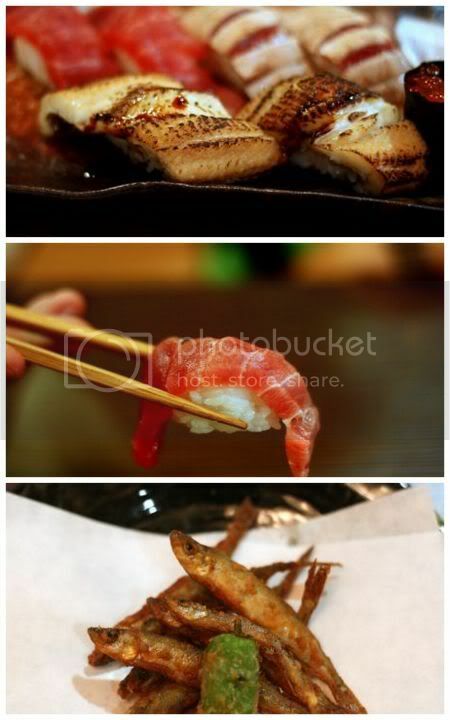 I especially love the anago sushi - made with sea eel and lightly dabbed with the sweet sauce. It's not as cloyingly sweet compared to unagi. On our next visit - we got more adventurous and ended up having a specialty that has been popping up in Cilantro ever since it opened in December (We had it in a gorgeous broth for Christmas eve). Technically known as cod milt and shirako in Japanese, it may resemble brains, but it is said to be the seminal fluid the fish sprays on the eggs to fertilise them. 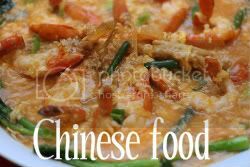 Usually steamed, its texture is soft and creamy to the mouth. Here it is served in a traditional manner - with seaweed, sliced Japanese cucumbers and grated daikon radish in a ponzu tinged soy sauce. For RM28, we got three pieces of cod milt which I reckon is a steal versus what we probably paid in Cilantro (it's part of a set). It is currently the season for cod milt and is said to end by April. For more on this, see The Nasty Bits where pictures of what it looks raw is shown. Warning, it can put you off the food if you hate squirmy stuff. Another specialty was the wakasagi (RM20), a type of smelt (Splashie Boy likens it to giant ikan bilis that will go well with nasi lemak) that is fished by boring a hole in ice covered lakes during winter. The restaurant is also well known for their prawn teppanyanki (RM38) - a large prawn is cooked teppan style and served with a creamy hollandaise sauce. 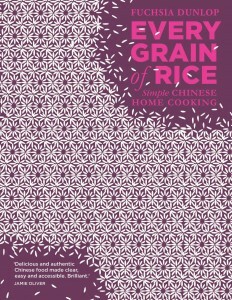 Definitely a more-ish dish with loads of rice, as you can't stop eating that rich emulsion of butter and eggs. 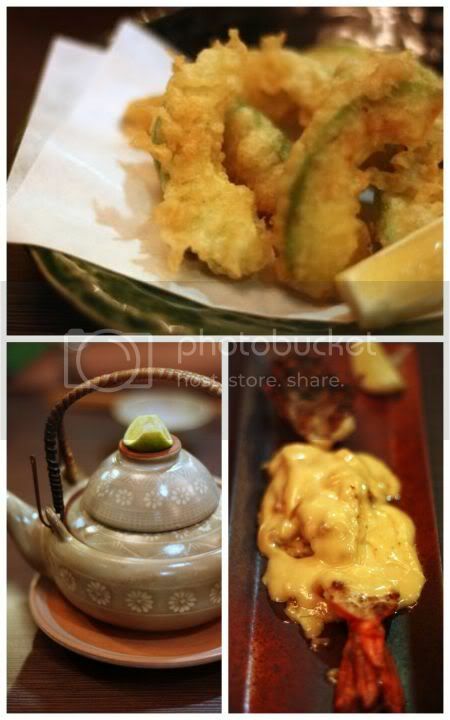 I also had a hankering for avocado tempura-RM19 (that cod milt reminded me of Sage where we had foie gras with avocado tempura before) hence we ordered it off the menu. Creamy melt-in-the-mouth avocado in a light batter - simply heavenly stuff. 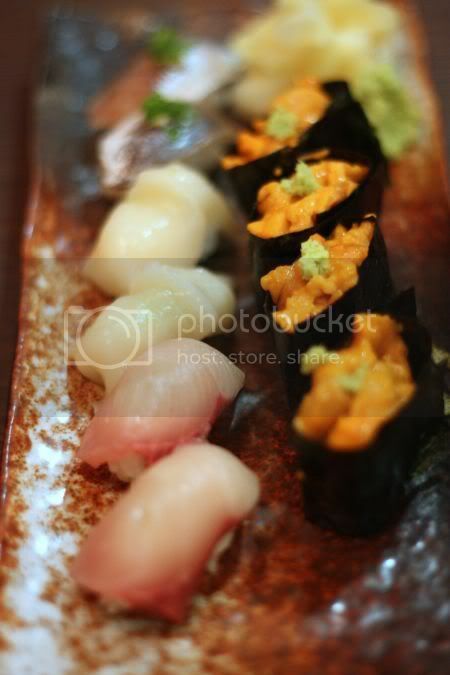 I was also well satisified with my uni sushi, the sweet hotate or scallop, hamachi and the aji or horse mackerel sushi, we ordered. Next on the agenda I reckon when I return here, as I'm smitten with this place - their famous grilled tuna cheek on a charcoal grill that sounds simply divine. 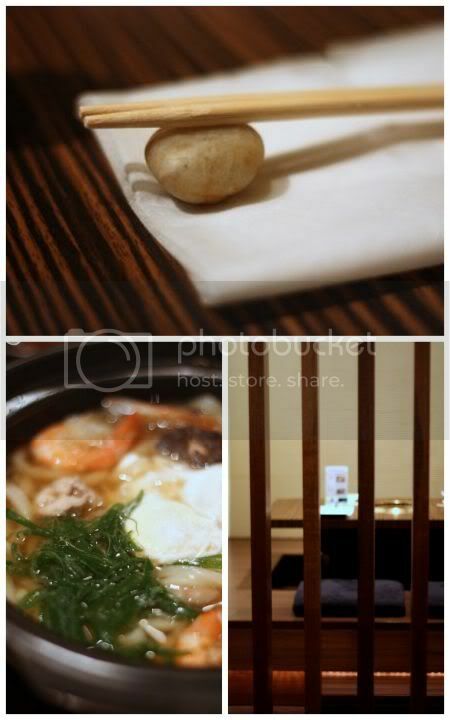 They also have Tabehoudai beef sukiyaki or shabu shabu during weekends. For more pictures, see the flickr set. I confess that I always used to think manga was just for teenagers. Hence, it was a big surprise when I learnt last year when chatting to a Korean and Japanese friend, how manga teaches people about wine. Known as Kami No Shizuku in Japanese and The Drops of God in English, the manga took the wine world by storm. In Korea, as I was told, whatever wine label that was introduced in the manga series would end up being sold out. 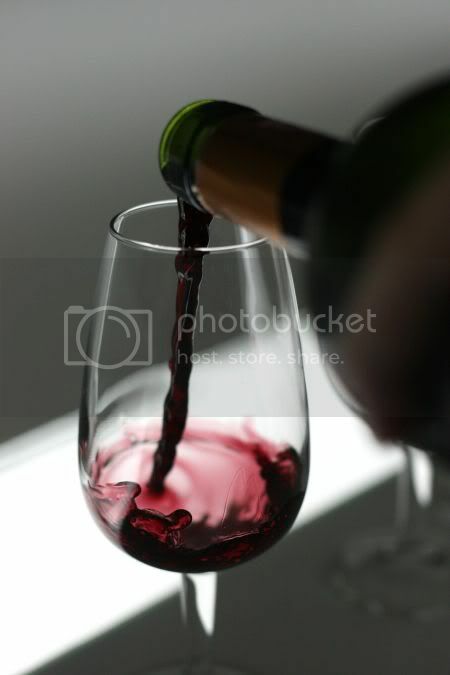 It also caused a general appreciation for wine and wine-tasting especially among the younger crowd. While it has been translated into French and Chinese, sadly there's no English version. The closest we will get to an English version is the Japanese television adaptation of the manga where English subtitles explain the nuances of each wine. For more information regarding the manga, read the New York Times article in 2008, the Decanter article and the Daily Mail UK article. Recently, Lyrical Lemongrass highlighted to me this food manga that was being sold during Kinokuniya's Christmas promotion. While I didn't manage to catch the promotion (when I went to see the books, only two titles remained), I was able to accumulate the six titles from plowing Kinokuniya Singapore's bookshelves. 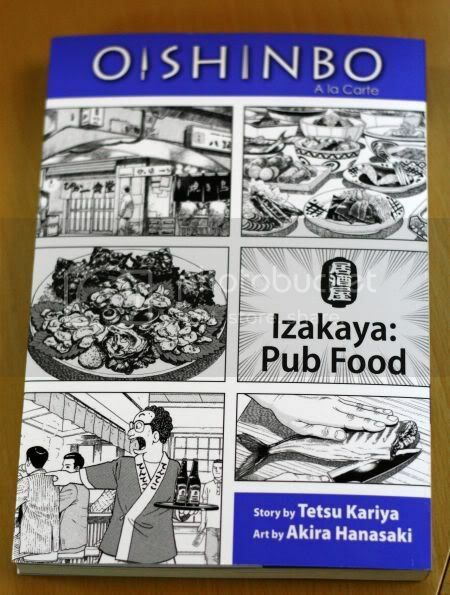 Just this Monday, the last title of the series arrived at Kinokuniya Kuala Lumpur - Izakaya: Pub Food. Definitely a must read for Japanese food lovers, the manga details a competition between two rival newspapers in Japan (the Ultimate Menu vs the Supreme Menu). There's showdowns between the two rivals with various topics and that's where you learn more about the Japanese cuisine through the various stories. 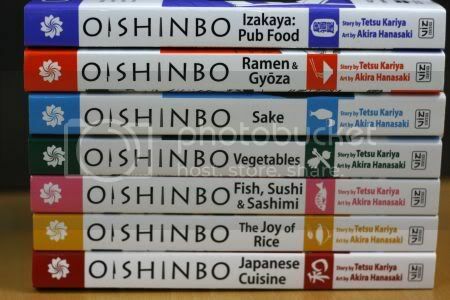 In Japan, there's 100 books but these are 7 titles selected to be translated into English. Even though they're grouped by the particular topic i.e. rice or vegetables, you find a jump in the series especially when it comes to relationships. Nevertheless, the manga is extremely enjoyable reading and makes you crave for Japanese food (I had an incessant craving for rice balls after they did the rice ball challenge!). For detailed reviews on each volume, see this great site. Each book is retailing at RM44.33 at Kinokuniya Kuala Lumpur where new stocks for the titles have arrived. 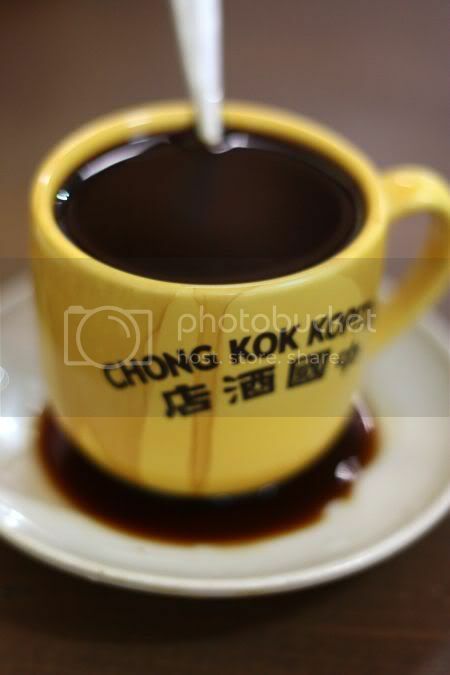 I've always had a penchant for nostalgia especially old fashioned kopitiams. Modern day ones just don't cut it for me even though they sometimes quickly satisfy hunger pangs. The last time when we wandered around Little India, I spotted this kopitiam right next to the train station. Vowing to return, we finally fulfilled our promise one Sunday morning. Driving around Klang is often a nightmare for me, probably because I'm not used to the place - the back roads and the road system that seems to go in a circular loop within the town centre. The jam around the town centre never seems to help too. Back to the kopitiam - it is heaving with people who sit around waiting for their coffee, toast and eggs. Not entirely old fashioned, the tables and chairs strike one as more modern. For added sustenance, pick a packet of nasi lemak next to the payment counter. 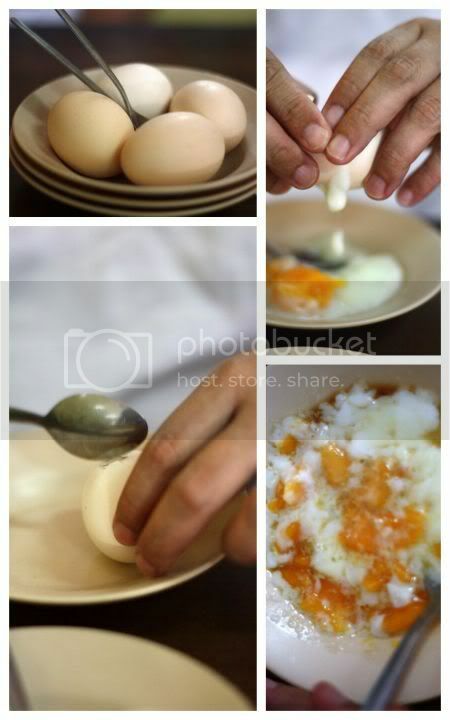 They serve kampung eggs here, a welcome change from the commercial ones but sadly they can't seem to get it cooked perfectly. Instead of soft poached yolks with runny egg whites, we got harden egg yolks that plop from the eggshells when we crack them open. Feeling a little disheartened with the eggs, we cheered up with the toast bread - light as air with a slather of not overly sweet kaya. My favourite was the steamed bread with a pillow soft texture that I couldn't get enough. 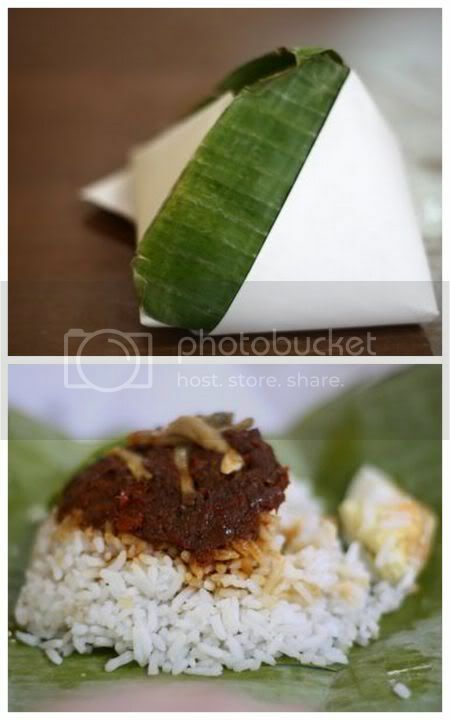 Even the nasi lemak is good - just a simple mound of aromatic coconut rice topped with sambal, fried ikan bilis and a wedge of hard boiled egg. Coffee is very good here - smooth and rich. Ever notice how no one uses condensed milk anymore and it is all creamer made from palm oil. Sad but true since spiraling prices mean condensed milk is no longer profitable to be sold here. I have friends who now bring back their condensed milk from across the Causeway! Despite our eggs, we were pretty happy with the kopitiam and vowed to come back another day for a dose of their incredible caffeine and the fluffy steamed bread. What I did notice from the other blogs that had visited this place a few years earlier though, there's quite a lot of changes - when we went there about 11am, there was no nasi lemak stall in front of the shop so maybe it was too late hence all we had left were the nasi lemak packets or the stall is no longer available. 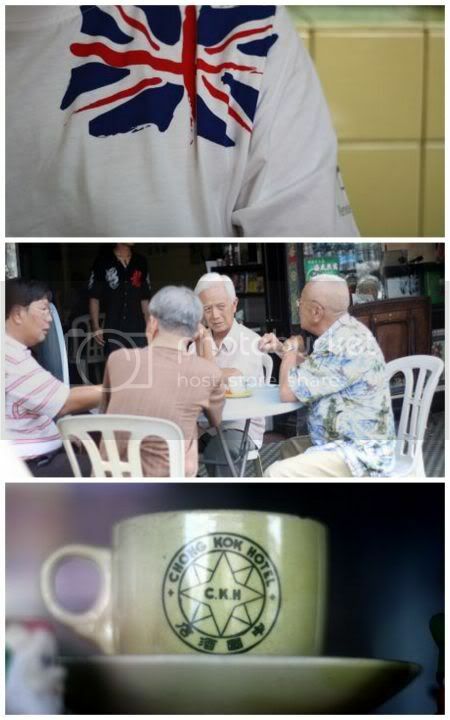 Another obvious change too, there's no old man making the coffee nowadays, instead it is a young Malay chap brewing the coffee. For more pictures, see my Flickr set. Dining out just got a little more IT savvy with the launch of http://www.eatdrinkandmore.com/, touted as the website that brings you a one-stop online portal for food and beverage concepts. The "more" part is said to relate to spa treatments and weddings but judging from their website, this could be added on in the later stage. 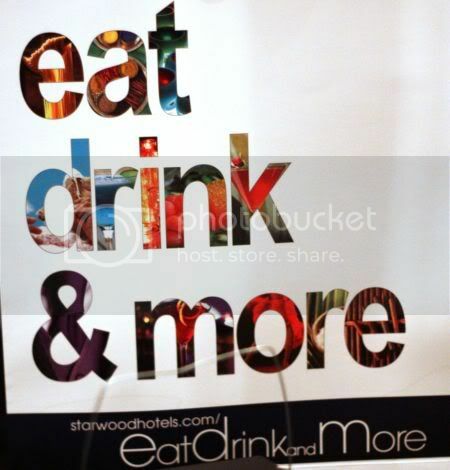 Launched by the Starwhood Hotels & Resorts, the portal currently covers branded concpet restaurants from The Westin Kuala Lumpur and Le Meridien Kuala Lumpur (in 2014, we welcome another Starwood Hotel in the form of the St Regis). 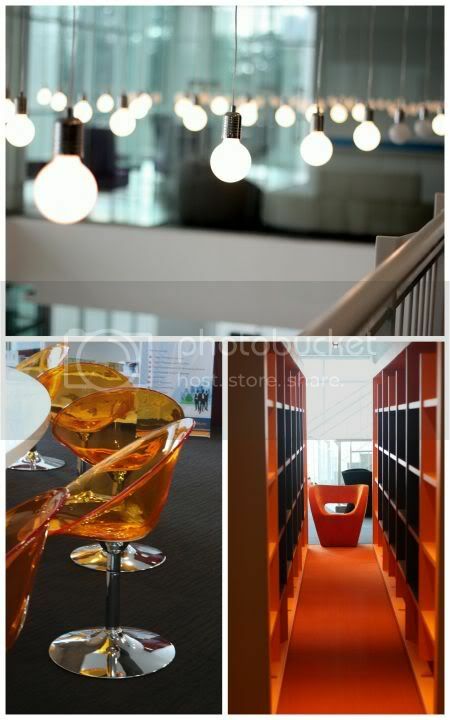 Starwood is said to be the first hotel group to take this initiative to provide this service in Asia Pacific. From the diners' perspective, this means they get to search online about the restaurants in the two hotels and most importantly, there is an online reservation system. You also get updated on the offers and news like what Valentine Day promotions they will be having. Even though Sheraton Imperial Kuala Lumpur didn't take part with the launch, the reservation system also covers their restaurants: Essence, Celestial Court, Pavilions Lounge and Villa Danieli. No more dealing with the uncertainty, getting a table to the always packed Favola or even Prego's Sunday brunch is a just a click away. Even though Prime of Le Meridien Kuala Lumpur was not featured in the launch, you can book this restaurant online. Nevertheless some hiccups do occur with the booking system, as you're limited to bookings for 2-6 persons only at the moment. I personally reckon the limit on the higher number of people could be a way to control the sitting of the tables, since most tables usually sit up to 6 persons and anything above will need a special arrangement that is best highlighted to the management. Not too sure about why dining solo seems to be excluded, maybe its easier to squeeze in a single diner? 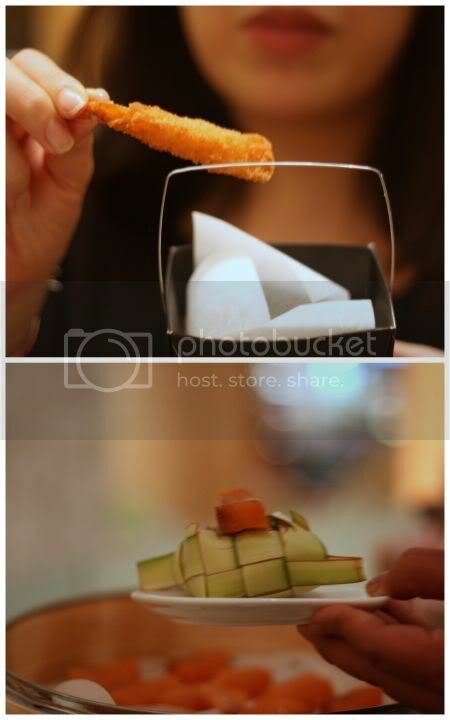 The launch of the website showcased the 5 branded concepts restaurants starting from the youngest i.e. 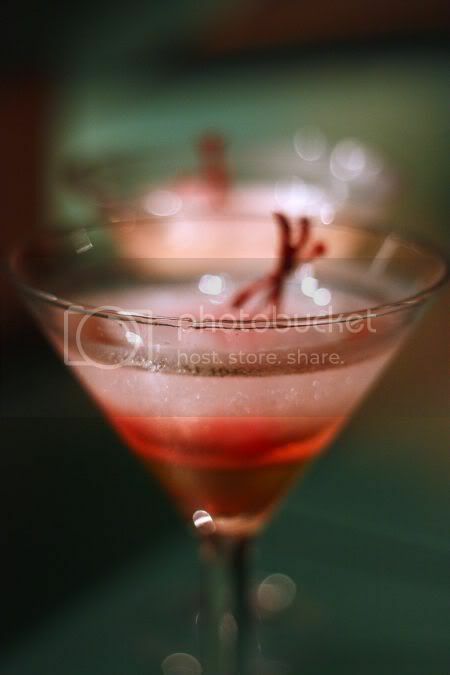 the just opened Favola and Latest Recipe from Le Meridien Kuala Lumpur. We subsequently moved on to The Westin Kuala Lumpur, where we jumped from Eest to Prego ending finally at Qba. It is interesting to see the various dining concepts on display. Le Meridien Kuala Lumpur put a lot of effort in recreating the atmosphere of their dining outlets - they even transported their Venetian masks, chairs and tables including their trademark scroll menus. 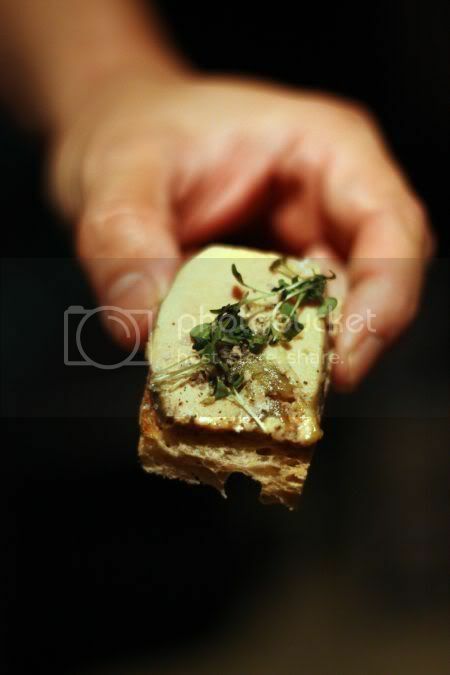 A crudo bar was set up, which had their specialties - breadsticks with various dips in small Le Creuset and Staub cast iron pots, gorgeous melt in the mouth cheese stuffed roasted peppers, eggplant wrapped tuna with pine nuts, raisins on the side, freshly grilled ciabatta sandwiches and etc. 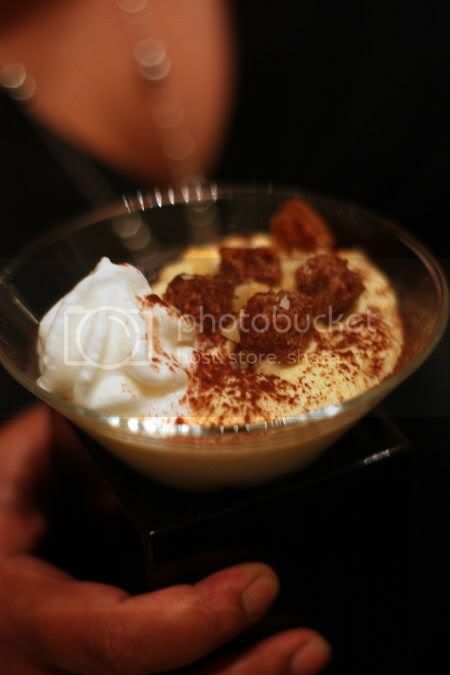 Their infamous Illy Tiramisu also made an appearance. Simply heavenly stuff that we savoured and wished for more (one had to ration the stomach space since so many places to try). 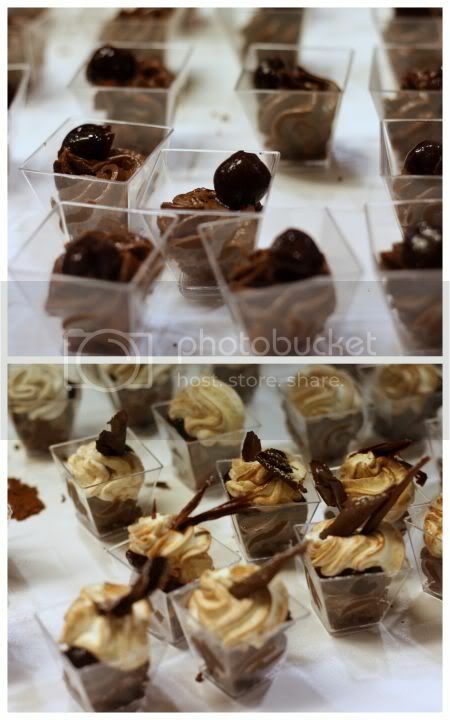 At the Latest Recipe, I loved the chocolates on display (creamy and decadent! ), the fork tender wagyu beef with creamy polenta dusted with cocoa powder and the unusual warm smoked salmon with soba noodles and ponzu spray. 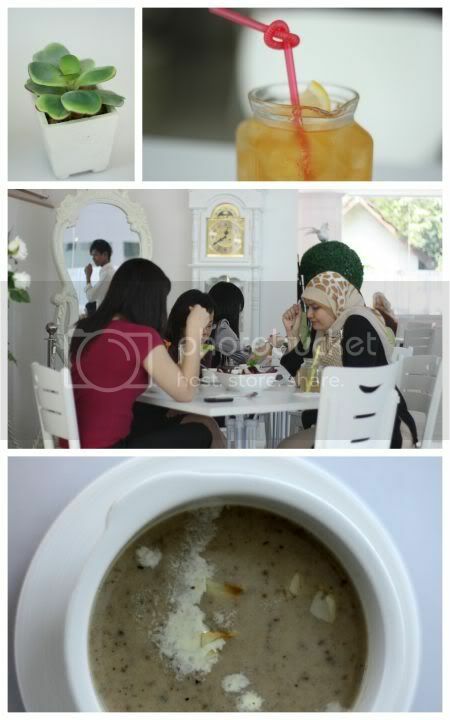 We moved on to Eest where we cleansed our palate with hot tea from Westin's special blends. Then, it's more food served in spectacular mirror mile-long platters - small dumplings, crispy crackers topped with salmon and ikura, fluffy yam puffs with curry prawns and meat skewers doused in a sweetish sauce. Next it is on to Prego where you get to view their open kitchen from the top. There's a selection of dry white wine and Chianti from Starwood's Wines of the World. Food keeps pouring in - nifty looking spaghetti in carton boxes or literally takeaway-pasta-in-the-box, eggplant rolls, a creamy foie gras terrine, foamy risotto served in martini glasses and etc. We march on to the next and final destination - the ever hip and happening Qba. 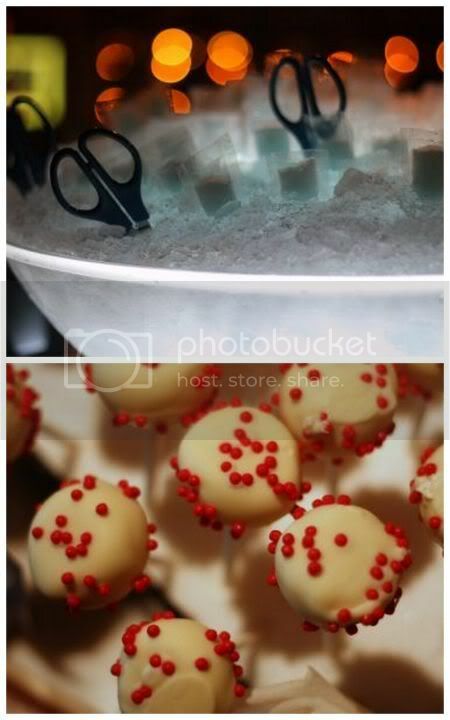 It's a spread that is designed for fun - eggnog lollipops with a dulce de leche dip, self-serve popsicles with flavours like gin and soursop or mojito. There's also pina colada frozen peletas, churros with hot chocolate sauce and teeny weeny tacos. 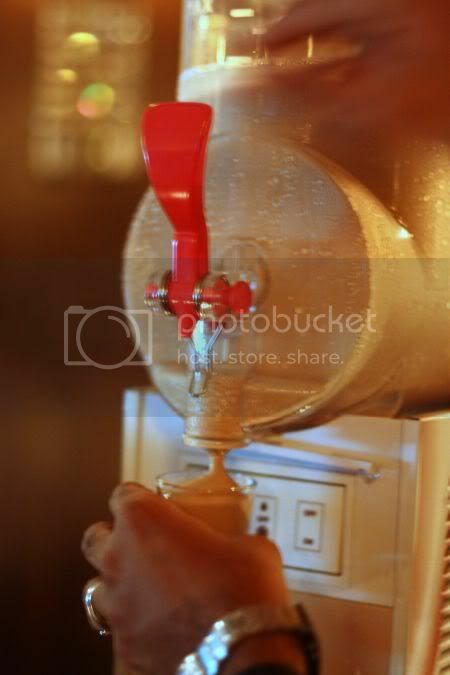 My favourite of the whole lot - the drink part where we were introduced to Illy Creama - creamy and icy cold Illy coffee. Imagine melted Illy coffee ice cream, served in a shooter glasses and you have the ultimate caffenine addict's fix. Who needs affogatto where you have one of these creamy shots? The machine is said to be the first in Malaysia and only available at Westin Kuala Lumpur. For more pictures on the launch, see my Flickr set. 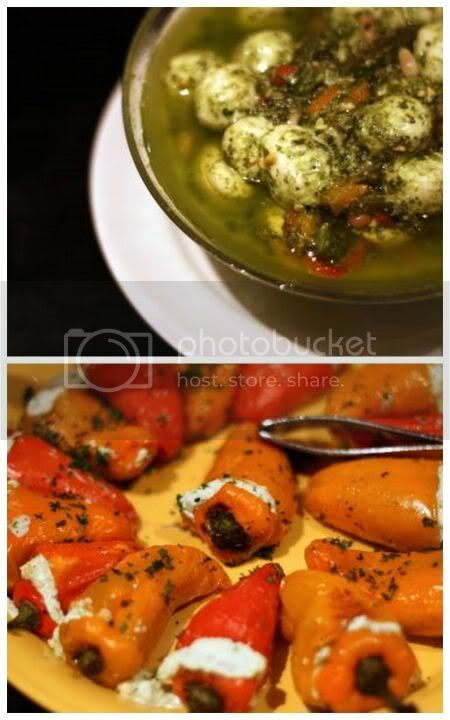 In conjunction with the launch, I'm giving a special treat to the blog readers, an opportunity to eat and drink at Prego, The Westin Kuala Lumpur - a dining voucher for Prego Presto Set Lunch for 2 persons (valid until 12 July 2010). It's very simple, you just need to answer these two questions, 1. Which hotel will be running a Shanghainese promotion? 2. Are Prego's pizzas made with a wood fire oven? Email your answers to masakmasakcomp1@gmail.com by 12 midnight, 22 January, 2010. *This is an invited review of the restaurants. The dining voucher is sponsored by The Westin Kuala Lumpur. One night while searching for food in Subang Jaya, we stumbled on this place just off the busier stretch of Asia Cafe. Touted as serving Kobe beef from Japan, we were sorely tempted to order the pricey meat but decided to give the less superior beef a chance before killing the wallet. 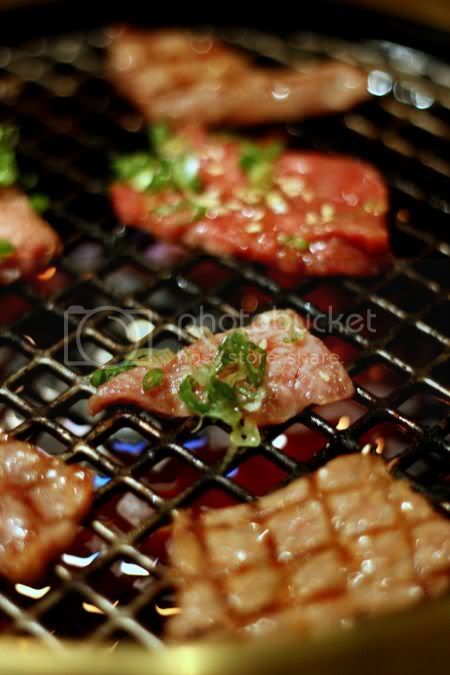 Similar to the Korean BBQ, Yakiniku is a little different as it does not come with the abundant side dishes or banchan. 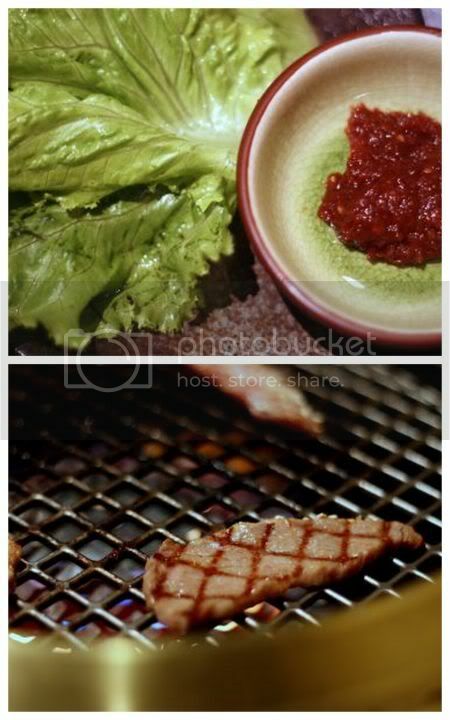 Instead, the grilled meat is served with a miso sauce and lettuce. Nevertheless, the ribeye and short ribs we order are tender and absolutely delicious especially when paired with the addictive sweetish miso sauce. What I also loved about grilling the meat here is their grill has an inbuilt suction that is strong enough to prevent any smells permeating into our clothes. 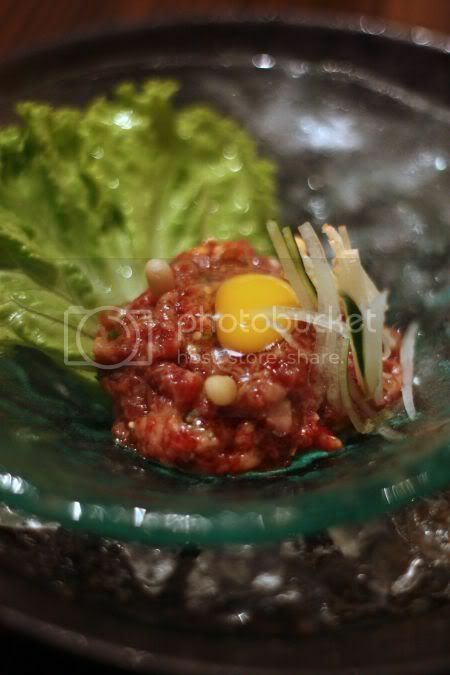 Another favourite was discovered - beef sashimi topped with a quivering quail's egg yolk. 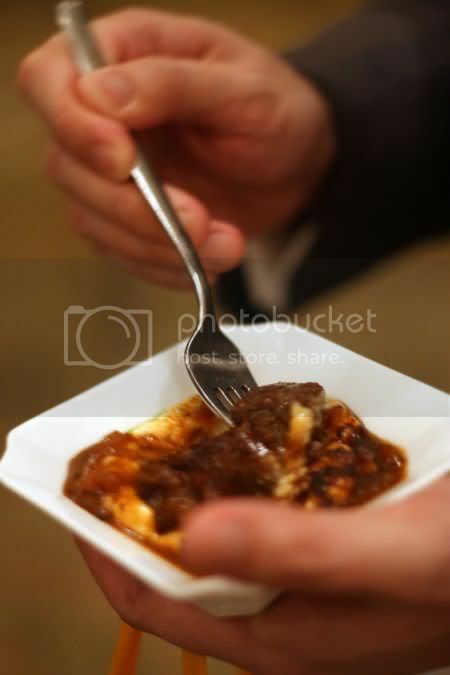 Mix the lot up to add a richer taste to the melt in the mouth beef that tasted so good chilled. Simply heavenly especially for bovine lovers! 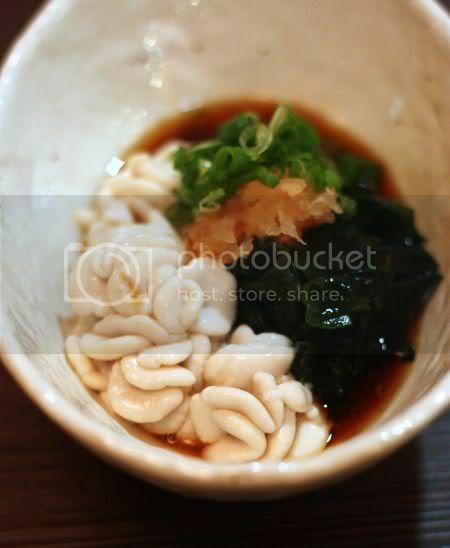 As it was a little cold that night, we had a bowl of comforting Nabeyaki Udon to share. 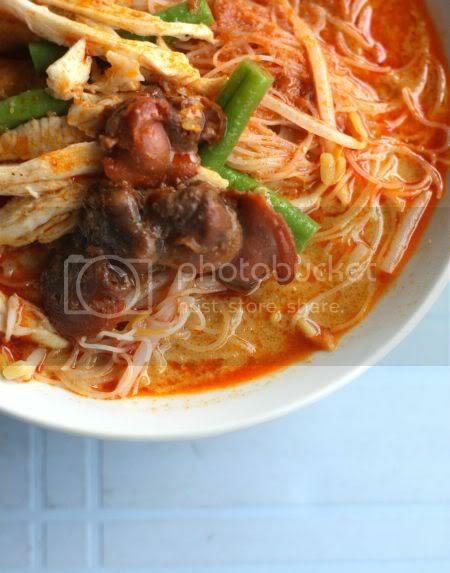 Full of ingredients like prawns, eggs and the thick noodle strands, we were slurping the broth to the last spoonful. 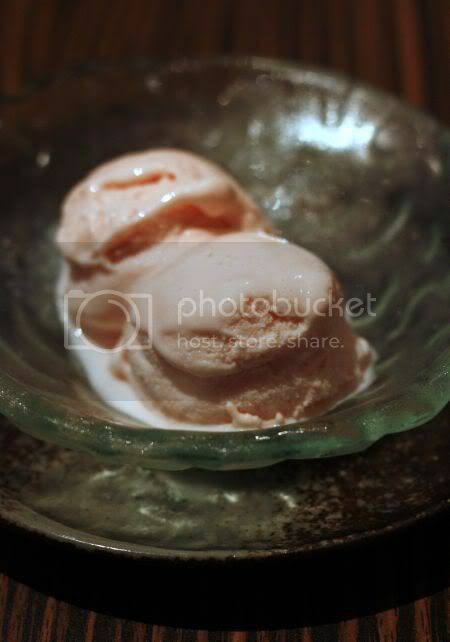 To end the meal, it was imported Sakura or cherry blossom pink ice-cream and fresh watermelon. Needless to say, I ended up eating all the watermelon instead as a certain someone hates watermelon. I must admit I was skeptical when I walked in expecting a run of a mill place amidst the suburbs but was pleasantly surprised with the food here and warm ambience here with the tatami rooms. The people who seem to dine here are Japanese probably because Malaysians will prefer Korean barbeques instead. Nevertheless I will return to try the other items on the menu like the Korean dishes - the kimchi stew, cold noodles and various parts of the cow, I have not tried before - the tongue, intestine and even the heart. 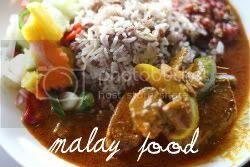 Also available for lunch are sets that range from RM28 to RM38. There is also Bipinpa (or what we know as Bibimbap). It amazes me that I took so long to discover this place, which I reckon serves the most amazing tandoori chicken and fluffy soft naans. A little bird gave me a hint of this place last week and after watching Sherlock Holmes on a Saturday night, we headed there on a quest to search for this stall. With vague directions like "near Ampang Point" and "next to guitar shop", we set off in a wild goose chase. Splashie Boy was good humoured enough to drive around Ampang looking for it but after a while, we almost gave up hence the next best thing was to google for directions. Hallelujah for 3G services!!! I stumbled on Fried Chillies' directions and after a driving through a dark curvy road, it was tandoori and naan nirvana at the end! Nicknamed Uncle Arumugam by the Fried Chillies team, this stall seems to be working non-stop fulfilling orders. To spot the main man, zoom in on a tall fella with the cap. He's the person you need to place your orders with as most of the others tend to ignore you. (I suspect they can't speak the language) Seems he used to work in a Northern Indian restaurant where he picked up his skills. He doesn't do the grunt work anymore, leaving it to his workers to handle the making of the naans and the grilling. The grill master - this stoic looking fella looks after two tandoor ovens fueled by a charcoal fire, moving metal skewers from each oven until they're cooked to juicy perfection. 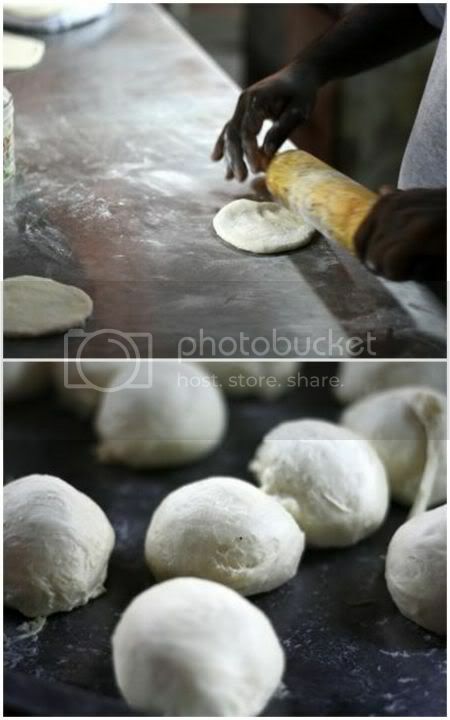 I love the way they make the naans here, transforming from the balls of dough into fluffy soft naans with crispy edges. 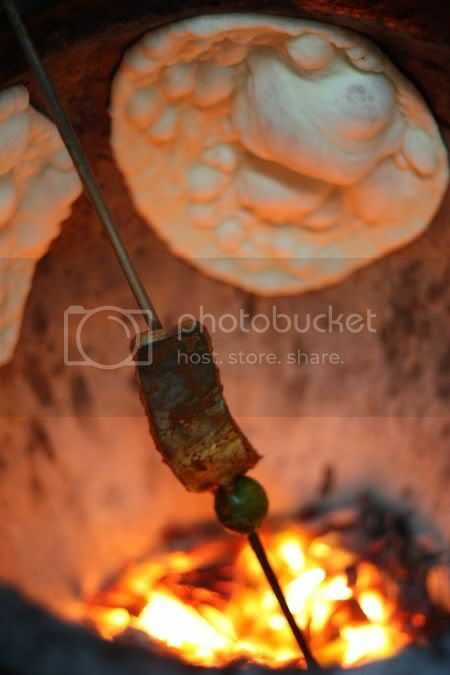 Once the dough is stretched, it's placed on the side of the tandoor oven. Such dexterity to place it quickly at the sides without burning any of their extremities. 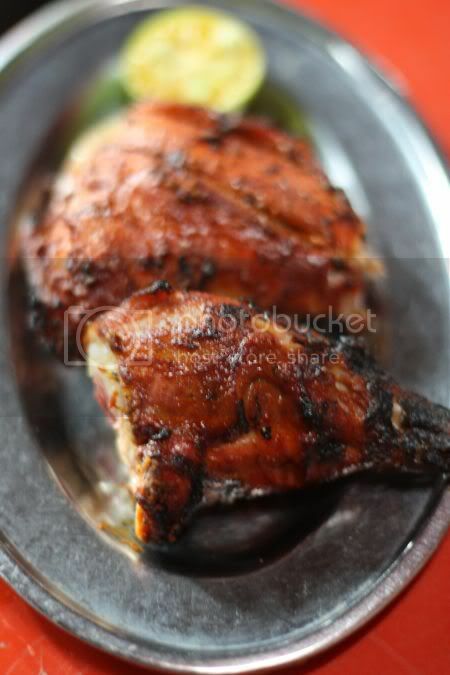 The wait is a little long but we're rewarded with juicy and succulent tandoori chicken that we tear with our fingers. As it was late, they weren't serving any keema (my favourite with peas) hence we went for the mixed vegetables. Simply gorgeous stuff - diced carrots, potatoes, mixed vegetables in a creamy sauce that had me scraping the stainless steel dish to get everything down my rumbling tummy. The tandoori fish - a piece of tenggiri fish cutlet wasn't as juicy as the chicken but nevertheless it was still enjoyable especially after a dash of lime juice from the halved calamansi lime on the side. 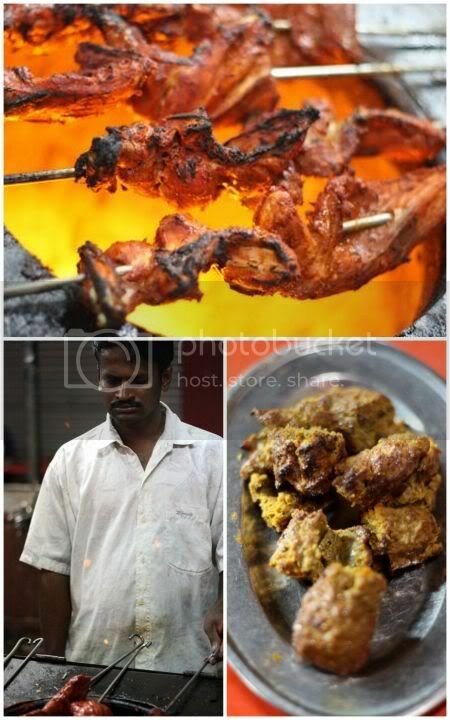 The mutton kebab was also fantastic especially eaten hot from the oven. 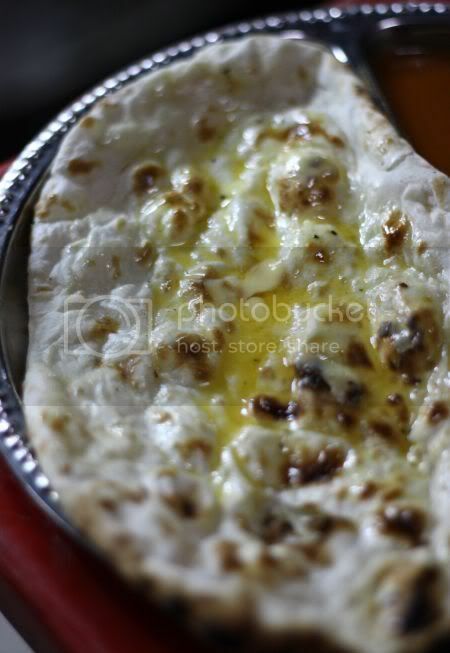 However our favourite were the fluffy naans - not rubbery but so pillowy soft, I could eat them the whole night long. 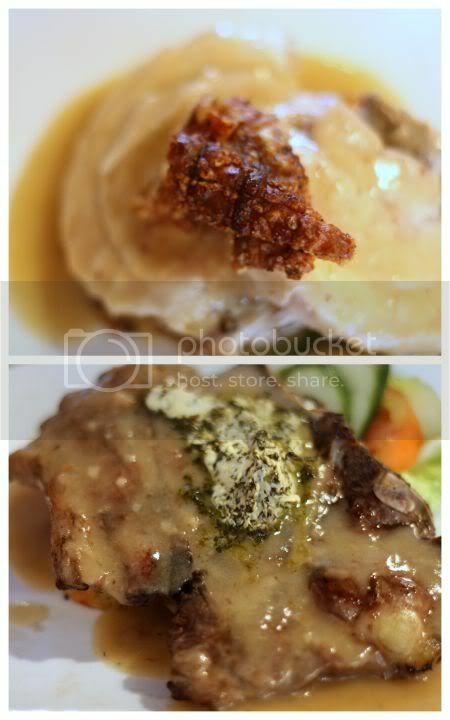 We had two types - the butter and garlic but we preferred the sinful melting butter version that screamed "cholestrol!". 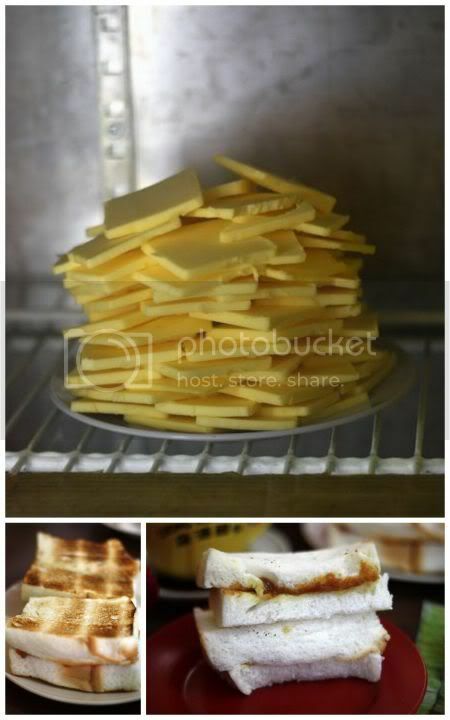 Other varieties available are cheese naan and keshimiri naan. Not being satisfied with just one each, we ordered another one to share and slowly waited for the additional naan, since it takes a while to get one made. 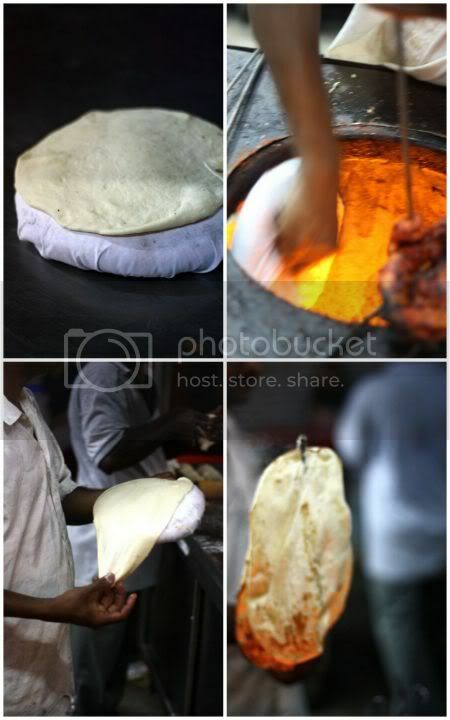 Thus, if you're looking for a little piece of heaven, drop by here and satisfy the tandoori and naan cravings. The place may not be the cleanest nor the most elegant but hey, this is what street food is all about. Service can be quite lacking especially if they're busy but press Uncle Arumugam for your order and it's well worth the wait. For more pictures, see my Flickr set.